At LMB Real Estate Group, we are driven by a focus on getting results. Each member of our team takes the time to explore all available options to ensure the best possible solution based on their specifications. We can help you acquire everything from a new storefront or office space to investment property. Please take a moment to learn more about our team, and be sure to contact us for the latest information on properties currently available in the Midland and Abilene, TX area! Mr. McClain served as President of MRO Management from 1998-2002. He was responsible for MRO's corporate budgeting, staffing, day-to-day supervision and general operations of approximately 8,000,000 square feet of third party managed properties and MRO owed assets. In addition, he was responsible for growing MRO's fee business and expanding services in various Southwest real estate markets. Mr. McClain served as Vice President of the Davis Company from 1992 until 1998, at which time the Davis Company was purchased by Midland Red Oak Realty, Inc. and MRO Management was formed. Prior to the Davis Company, he was employed as Operations Manager for Mike Lewis & Associates from 1987 until 1992. Mr. McClain received the distinguished Certified Property Management (CPM) designation from the Institute of Real Estate Management (IREM) in 1990 and was awarded the Real Property Administrator (RPA) designation from the Building Owners and Managers Institute (BOMI) in 1992. He is a licensed broker and member of the Texas Association of Realtors. Mr. McClain is currently working towards achieving the Commercial Investment Real Estate Institute (CCIM) designation and the Certified Shopping Center Manager (CSM) designation. Mr. McClain attended New Mexico Junior College and John Brown University. Brandon McClain serves as Vice President for LMB Real Estate Group. Brandon has more than thirteen years of Real Estate Experience involving managing third party assets to Leasing and Sales. Brandon is a member of the Texas Association of Realtors and a CCIM Candidate. 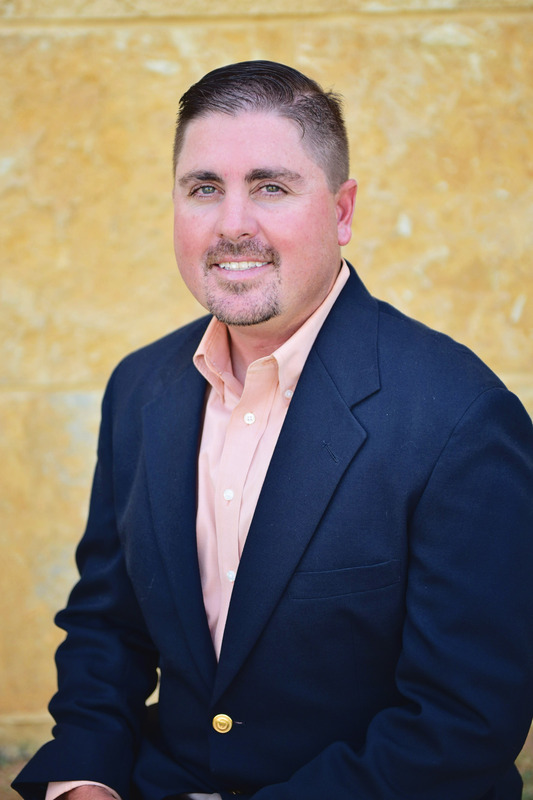 Brandon was previously employed by Bobby Cox Companies headquartered in Fort Worth, Texas from 2000 to 2004 learning all aspects of Commercial Real Estate and Facility Operations. Brandon was awarded the designation of System Maintenance Technician (SMT) and Systems Maintenance Administrator (SMA) from the Building Owners and Managers Institute (BOMI) in 2004. Brandon attended Texas Tech University. John (Buzz) Johnson has more than seventeen years' experience in the field of facility maintenance. He serves as Facility Maintenance Administrator for LMB Real Estate Group and is responsible for the day-to-day maintenance and supervision of approximately thirty-one commercial real estate properties. His expertise includes the working knowledge of the design and care of integrated building systems and administration of building operations and maintenance. Buzz was awarded the designation of Systems Maintenance Technician (SMT) and Systems Maintenance Administrator (SMA) from the Building Owners and Managers Institute (BOMI). Prior to LMB Real Estate Group, he was employed as Operations Manager with The Davis Company from 1998 to 2002 and worked for Mike Lewis & Associates from 1987 until 1992. Don Davis is a Certified Property Manager (IREM), a Certified Commercial Investment Member (CIREI) and a licensed Real Estate Broker. He is a three-time President of West Texas Chapter of the Institute of Real Estate Management, CPM of the Year Recipient in 1996 and a current member of the North Texas Commercial Association of Realtors. Don has served on the Executive Board of the Midland Chamber of Commerce and chaired the Economic Development Committee of the Chamber. He was Vice President of Mike Lewis and Associates Property Management Company (managing 1.8 million square feet of commercial real estate) from 1984 to 1991, and President/Owner of The Davis Company, Property Management, Inc. (managing 3.7 million square feet for third-party institutional clients). His eighteen years of experience ranges from managing third party assets to leasing and investment brokerage. Don excels in investment financial analysis. Shirley Sloan is a member of the Texas Association of Realtors and a CCIM Candidate. Shirley has more than fourteen years of real estate experience. Prior to joining LMB Real Estate in 2005, Shirley was employed by Century 21 Kay Sutton Realtors as Office Manager and Relocation Director. She managed and sold corporate properties for Century 21 from 2000 to 2003. During 2004 and 2005, Shirley was a member of one of Midland's top residential and real estate teams. Shirley has served as a member of Midland West Rotary and on the Economic Development Committee for the Midland Chamber of Commerce, as well as President of Midland Affordable Housing Affiance. She is now serving as a volunteer for Family Promise of Midland. She is involved in the leasing and brokerage services for LMB Real Estate Group.